We are going to Japan from tomorrow! We will have a wedding of brother in law, so we are staying there for 3+ weeks. It's been 1 + 1/2 years since I took vacation last time. But I will be working a bit there too. Leo and Sena are so excited. And mon and dad are busy packing stuff till midnight. 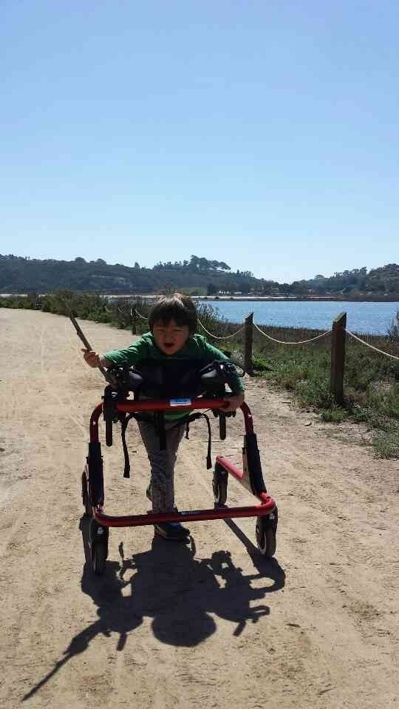 We decided to bring the lightest stroller as Leo's wheelchair this time. Japan is not like the U.S. where wheelchair access is available everywhere. So the worst case is that we can hold both Leo and the stroller and go up and down the stairs. Another thing to bring is the gait trainer. Without making him stand or walk, Leo loses his core strength. It is bulky and heavy, but hey, it is the cherry blossom season! Let's walk in the tunnel of Sakura!